Palmer Dental has been providing dental services to patients in Janesville, WI for more than 15 years. Dr. Palmer is a unique kind of dentist. He takes a gentle approach, easing any concerns you might have by providing valuable patient education. He listens so he can best understand your particular needs. He then strives to provide the highest standard of personalized dental care using his skilled training in the latest advances in dental technology. 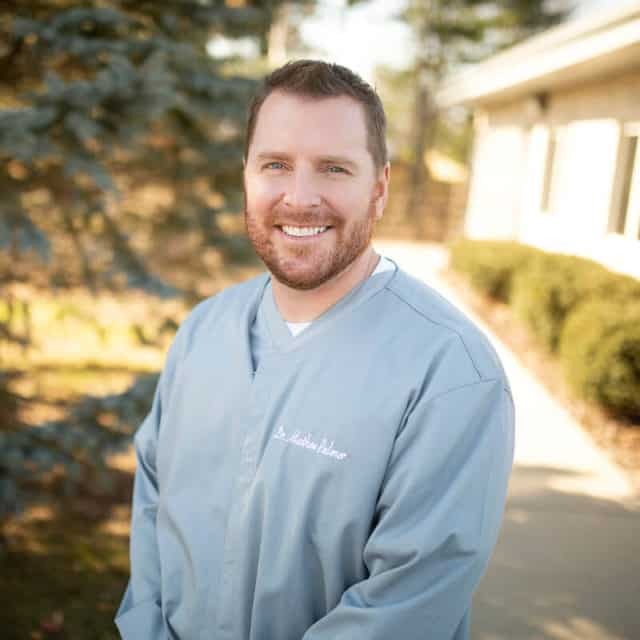 As a graduate of UW-Whitewater in biology, he went on to extend his education, receiving his professional degree from the University of Michigan dental school in Ann Arbor, Michigan. Immediately following dental school he served on active duty in the United States air force for 5 years. He was stationed at Sheppard AFB in north Texas and finished his air force commitment at Minot AFB in North Dakota. Dr. Palmer and his family are very excited to be in Janesville, and look forward to many years of serving the community. He’s a member of the American Dental Association, the Wisconsin Dental Association and Rock County Dental Society. He looks forward to earning your trust and taking care of all your dental needs. 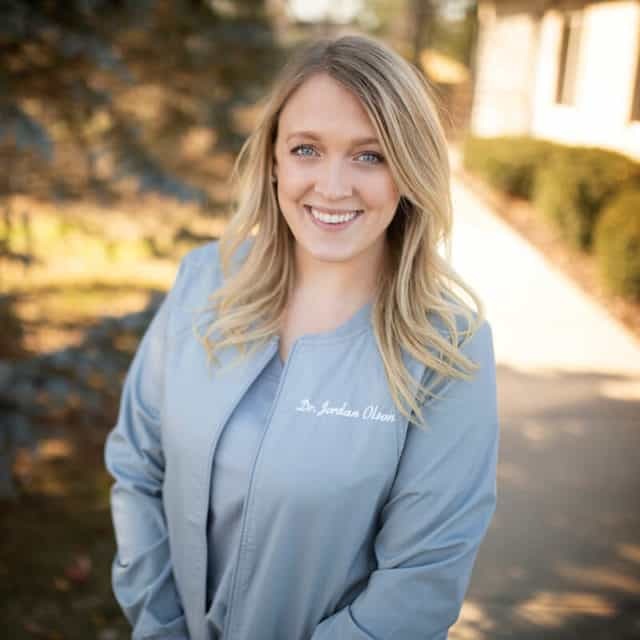 Jordan Olson, DDS strongly believes that patient-doctor relationships are the foundation of excellent dentistry. 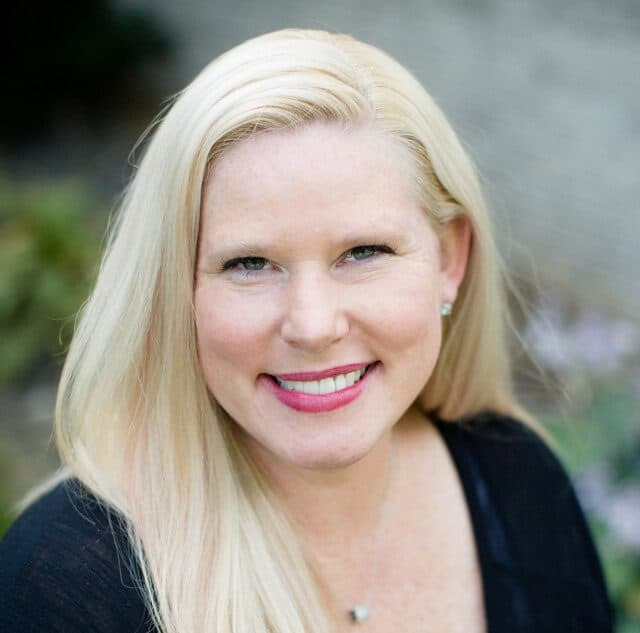 She strives to build trust with all of her patients to provide the most comfortable experience, meaningful patient education, and a healthy smile. Her love of dentistry sparked when she was just a teenager and realized dentistry combined her favorite subjects; science and art. She knew instantly that creating healthy smiles while improving patient’s confidence was her calling! Dr. Olson graduated from the university of Wisconsin-Madison with a Bachelor of Science in Microbiology. She went on to extend her education with her professional degree from Meharry Medical College in Nashville Tennessee. Community service was instilled in her education and she can’t wait to give back to the Janesville area. 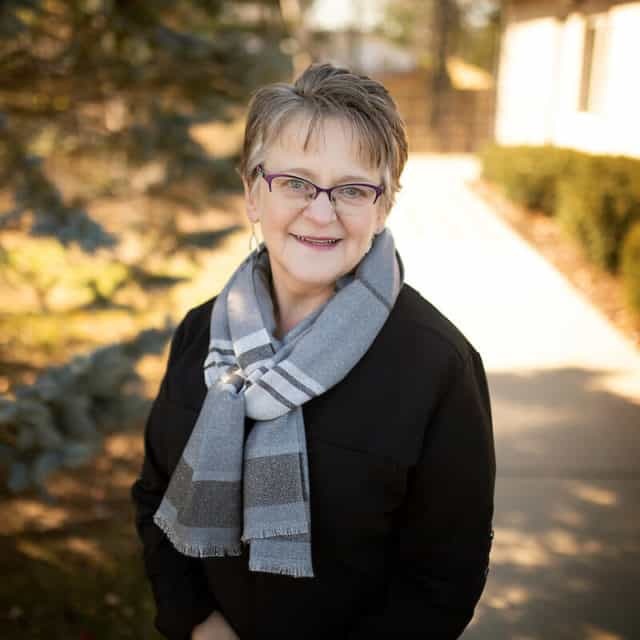 Dr. Olson is a native of Edgerton, Wisconsin where she grew up on her family’s dairy farm and is thrilled to be back in southern Wisconsin! In her free time she enjoys staying active, spending time with her family and watching all Wisconsin sports. She’s an active member of the American Dental Association and the Academy of General Dentistry. Angie was born and raised in the Janesville area. 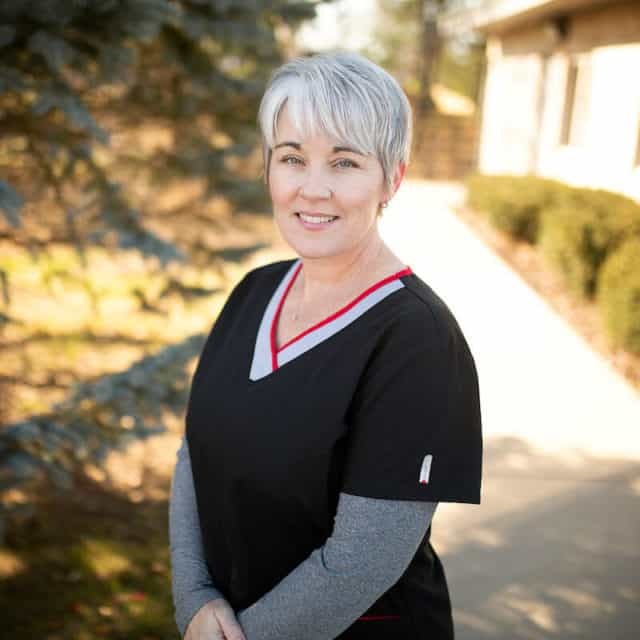 She graduated from Dental Assisting School in 1992, she worked alongside the Doctors’ assisting until 2016 she then made the transition to office manager. 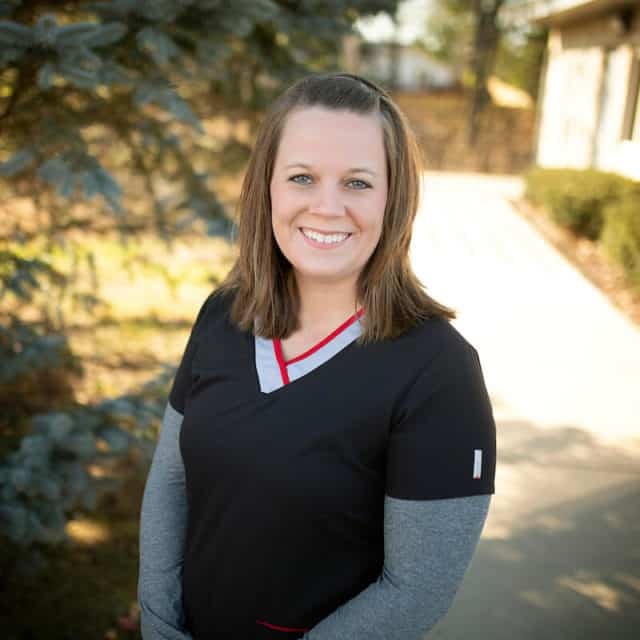 Angie enjoys getting to know our patients and watching their families grow. When Angie is not in the office she can be found enjoying a great book, sewing, golfing and spending time with her husband Jon, their children and 2 dogs. Diann has worked as a dental assistant & receptionist for “several years”! When asked by patients how long she has been with Dr. Palmer & Dr. Olson, she likes to joke that “she came with the building”. In 1997 Diann became an insurance coordinator to help aid patients with understanding their benefits. Diann has three grown children, 3 plus grandchildren and is engaged to a very wonderful man, Patrick. In her spare time, she enjoys gardening, reading, sewing, volunteering at her church and of course spoiling the grandchildren. Raeleen has been a Dental Assistant since 1992 and started working alongside Dr. Palmer in June of 2011. Raeleen and her husband have twin sons and a daughter. When she isn’t on the bleachers at a sporting event you will find her enjoying the outdoors, antiquing, visiting area wineries or curled up with a good book. It is her dedication and compassion that makes her such a valuable team player to the practice. 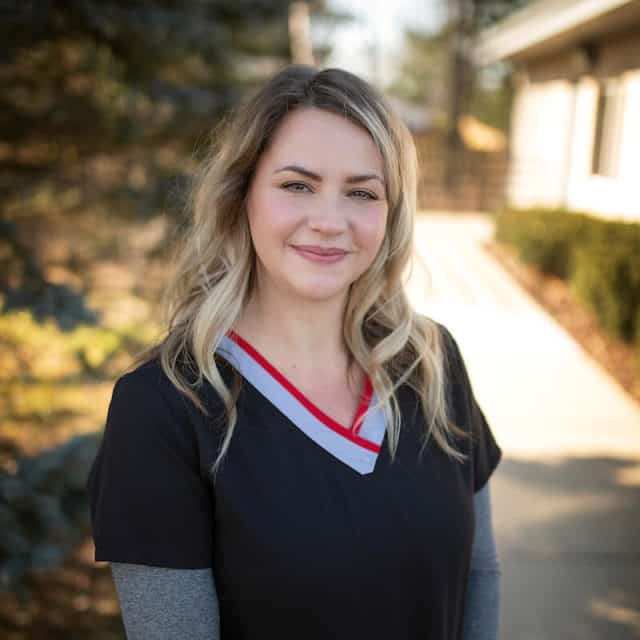 Andrea, “Andie” graduated from Blackhawk Technical College as a Dental Assistant in 2016, she joined the Palmer Dental team shortly afterward. Since July 2017, she been working alongside Dr. Olson. Andie is also a familiar face at the southside EL-RA Bowl. When Andie isn’t at work she enjoys spending time with her dog Barley. Her hobbies include bowling and anything outdoors. Jessica was born and raised in Beloit. She graduated from Blackhawk Technical College as a Dental Assistant in 2014 and has been in the dental field ever since. She enjoys snuggling her baby boy and spending time with family and friends. In her spare time, she likes to swim, watch movies, and take road trips. She loves the dental field because there is a variety of things to learn and so many amazing people to meet. Heather graduated from Blackhawk Technical College as a dental assistant in May 2014 and joined the Palmer Dental team shortly after. She is also the friendly face behind the front desk at Planet Fitness. Heather is attending Rock Valley College for dental hygiene currently and is extremely excited for her future. In her spare time, if she has any, she enjoys spending time with friends and family. Heather enjoys the diversity her job brings and getting to know her patients. She lives in Janesville with her husband, Ryan. Sue has been a resident of Janesville/Milton area since she was 5. Dental hygiene is a second career for her. She graduated from MATC in 1996. Like Diann, she “came with the building”. She has 2 grown children and 1 grandchild. In her free time she likes to spend time with family and friends and just about anything outdoors. Marj has been in dentistry since 1994. Employed as a clinical dental assistant until 2007, she then returned to school to further her education by becoming a hygienist. She takes great pride in providing comfortable care & oral education to all patients. Marj is married to Chris and together they have two boys, Devon & Cortez. The family also adores their dog Leroy, who was a rescue dog. She enjoys gardening, music, animals and travel. Eric and his family moved to the Janesville area in 2013 and couldn’t be happier. 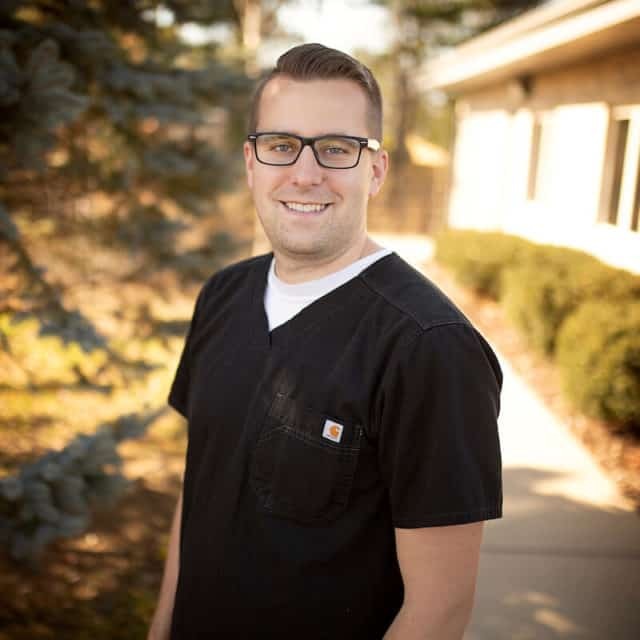 He started the dental hygiene program at MATC in 2015 and graduated in 2017. He strives to create a positive and comfortable experience for his patients while educating them to improve their oral health. When not cleaning teeth, Eric enjoys spending time with his family and coaching soccer at Craig High School. Michelle graduated from Sheridan College in Sheridan, Wyoming with an Associate of Applied Science and an Associate in General Sciences, following to obtain a Bachelor of Health Sciences in Dental Health from the University of Wyoming. 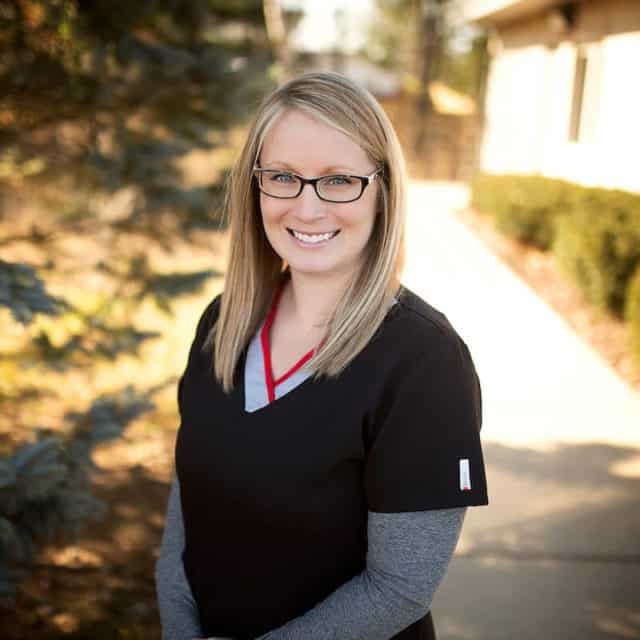 Michelle enjoys being a dental hygienist because it gives her an opportunity to work with patients one-on-one, not only to “clean” their teeth but also educate and build relationships. Michelle is originally from the Janesville/Milton area and moved back to the area after completing her degrees in Wyoming. In her spare time she enjoys a variety of activities such as reading, hiking, hunting, fishing, traveling and spending time with her family/dogs. If she hasn’t already, she looks forward to meeting you! 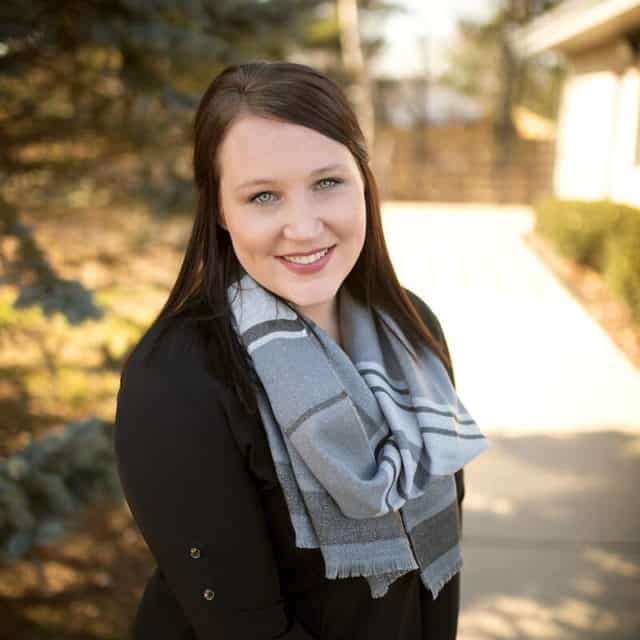 Amber is a native of Janesville, graduating from Parker High School and then attending Waukesha County Technical College. 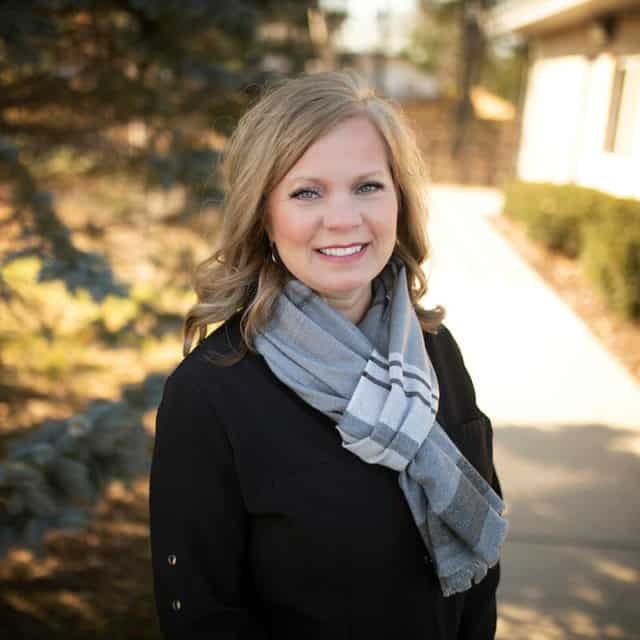 She received her degree and became licensed in dental Hygiene in 2007; Amber has been part of the dental community between Janesville and Madison for the past 17 years. Amber has a compassionate and gentle approach in helping her patients achieve and maintain good oral health. She really enjoys being able to connect with and educate her patients. When not happily busy seeing patients, Amber is spending time with her husband and four young children.